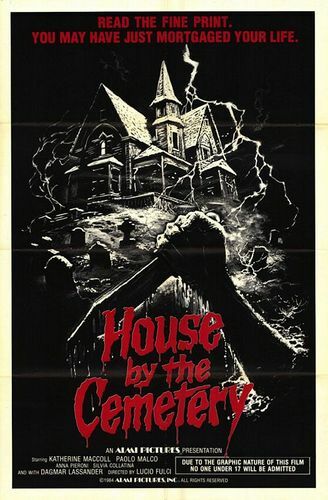 House দ্বারা the Cemetery poster. A 1981 horror film directed দ্বারা Lucio Fulci.. HD Wallpaper and background images in the ভয়ের চলচ্চিত্র club tagged: horror movies italian 1981 zombies gore promos posters. This ভয়ের চলচ্চিত্র photo contains নকল মানুষের, কমিক বই, কমিকস, and কার্টুন. There might also be সংবাদপত্র, কাগজ, ম্যাগাজিন, ট্যাবলয়েড, and টেনা.